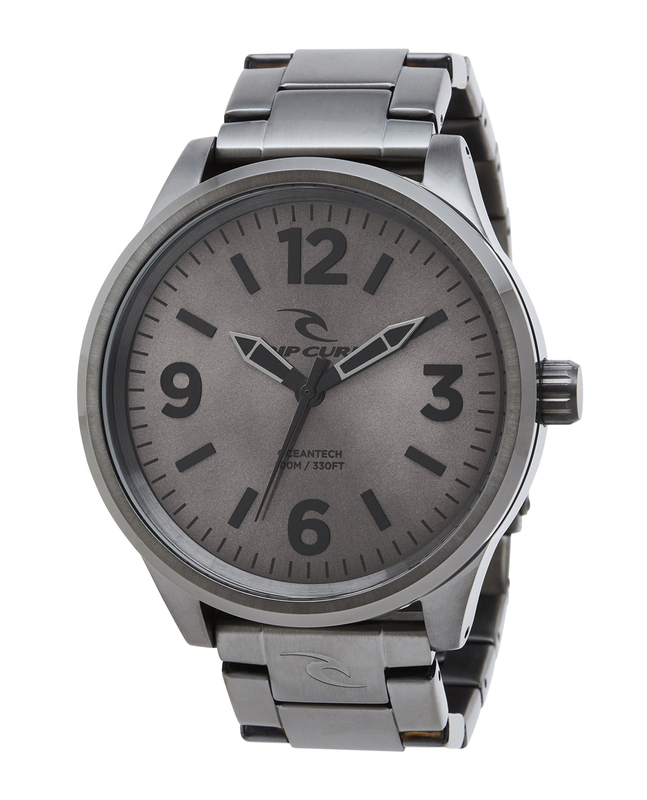 A bold, round faced watch in ionic plated gunmetal, to give you a refreshing update to the analog watch. And don’t worry, this style will be sticking around for a while. This 46mm watch features a Japanese quartz movement with three-year battery life and oversized applied numbers and indexes on a sunray dial. The Titan is water resistant up to 100 meters (330 feet) and is backed with a limited five-year worldwide warranty.